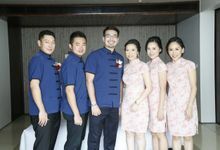 I've been wearing your cheongsams since your brand is established few years back, and for my wedding needs I'll always trust Mandarin Peony because of the quality and cutting that fits really well on the body ( i found other brands have weird proportions especially the bust part) and the price is well worth it, affordable for its class. daily needs or party needs, they have it! 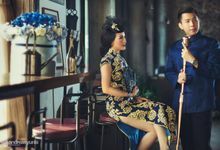 Mandarin Peony Cheongsam mempunyai koleksi cheongsam yang indah dan menawan serta modern. dengan paduan detail yang tinggi serta bahan yang lembut. 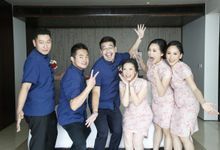 Benar-benar cocok untuk kalian yang ingin mempunyai koleksi baju yang modern tradisional. Sukses terus! Clients are welcome to schedule an appointment for fitting with at least 48 hour notice. For the time being, we are only able to meet you at our office at Pangeran Jayakarta. We only sell brand new products. We only provide ready stock cheongsams ranging from size XS to XXXL. 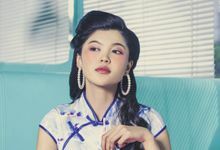 Yes Please make an appointment with us to try our beautiful cheongsam. Yes We do international and domestic shipping. The sooner the better. 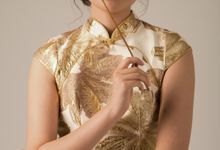 However, as we are ready-to-wear cheongsam, we cater to last-minute requests. Please contact us for further details. Once payment is done, we will ship the dress. For express shipments, it can be as fast as 1 day! 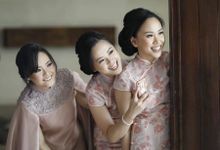 We specialize in traditional, ready-to-wear and affordable cheongsam. We started in October 2012.